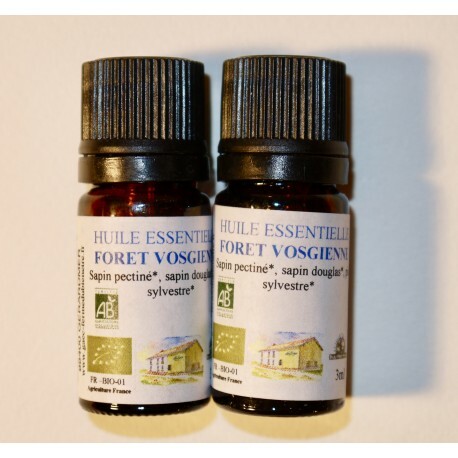 Lot of two bottles of French essential oils "Forêt Vosgienne". Presented in 3ml bottles, its scents recall the sweet smells of the fir tree. This original and organic oil is distilled in the Vosges in France. Presented in a 3 ml bottle, its scents are reminiscent of the sweet smells of fir trees. Ideal for use on ceramic diffusers sold on this site.